This week's mix of offers to dine out and indulge a little is as varied as they get; from a degustation menu of northern Italian delights, to some of the finest Japanese beef, and even another fine reason to feast on well-loved Peranakan classics. Northern Italy is home to a breadth of speciality dishes, which are the focus of the restaurant’s latest five- and seven-course degustation menus. Start with something light and easy; in this case, wth a serving of roasted scallops in a citrus dressing and mixed greens on the side, before tuckinh into richer options such as the mushroom soup with slow-cooked egg and black truffles, and black squid ink risotto with sautéed squid. You’ll do well to order the pistachio-encrusted roasted lamb loin with lamb jus and mint gel as you’re entrée, but if you’re craving for fish, the pan-seared sea bass with potato puree, broad beans, capers, olives and tomato sauce is equally delicious. And for that sweet ending, the coffee-flavoured tiramisu will give you just that. The menus come with optional wine pairing, too. If you're open to starting the evening with some small bites at the bar, or maybe spend it with a winning whiskey, Tom Vernon, master of craft and global ambassador for American whiskey Woodfood Reserve, is in town to help you do just that. It’s not every day that you get to meet (and drink) with a pundit, which is why you shouldn’t miss this event on March 22, where he'll walk you through three of Woodfood Reserve’s best expressions, coupled with complimentary bar bites. After a welcome cocktail and three mini Manhattan’s, you’ll be immersed in the intriguing world of this premium brand, first with the Woodfood Reserve Bourbon, with its complex notes of dried fruits, vanilla and tobacco spice. This is followed by the Woodfood Reserve Kentucky straight rye whiskey, also spicy but peppered with rye, fruits like apple and pear, and marzipan nuances, as well as the Woodford Reserve Double Oaked with rich vanilla and chocolate taste and a smoky finish. Fans of this specialist restaurant have more to savour now that the chefs have added 15 new items to its a la carte menu. That said, the selection goes beyond the usual meat options with the likes of the foie gras ringo truffle fumi, where tender foie gras is seared with apple and butter, and the toro uni kaisen mille-feuille, made with chopped toro, okra, sweet shrimp and fresh sea urchin. But if meat is what you came for, think about giving the Nagasaki beef a chance. It may not be as famous as beef from other prefectures, it’s still one of the best in Japan, and has the Prime Minister’s award at the Wagyu Olympics 2012 to prove it. The donburi bowls deserve mention too, especially now that you can customise it with your choice of beef: Australian wagyu MB6, Kagoshima A4 tenderloin or Tochigi ribeye. Peranakan cuisine is made for feasting, which is why you can expect a spectacular spread at this special celebration of heritage cuisine. 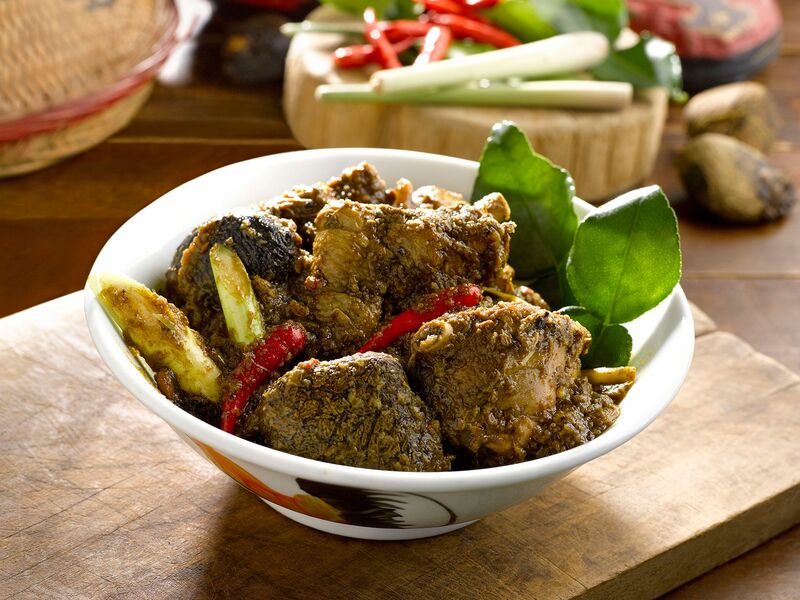 Available for lunch and dinner from March 19 to May 19, it includes classic favourites such as babi pongteh (pork belly cooked in an elaborate mix of spices including shallots, garlic and coriander roots, spice paste and tau cheo), and ayam buah keluak, prepared Penang style for a sweeter finish. And if space permits, toss in the assam curry fish and sambal petai prawn tossed with minced pork—all best enjoyed with rice. Sometimes, two chefs are better than one, especially when you have head chef Felix Chong teaming up with Australian chef and restaurateur Guy Grossi for an exclusive dining experience of fine Italian fare. Available from March 25 to 29, opt for the four-course lunch or six-course dinner menu and feast on inspired dishes such as Grossi's king prawn with Pantelleria capers and pancetta; and Chong's roasted bone marrow atop a saffron risotto cracker, accompanied with Mayura beef short ribs. If you're looking to indulge a bit more, there's the Mayura wagyu Fiorentina "experience", available a la carte featuring a full-blood wagyu T-bone that's good to share between four to six diners.